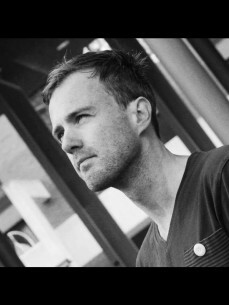 Mark van Bergen (1975, The Netherlands) is one of the major connoisseurs of electronic dance music and its surrounding culture and industry in this small but scene dominating country. What started with dj-ing and dropping parties at the time house music entered nightlife (at the same time he did), is now a full specialism. As a journalist, Mark has been writing about dance music and party culture since 2000 (newspapers, magazines and now for his own founded, much appreciated blog This Is Our House). He interviewed most of the key players in the scene and visited dozens of major events – mainstream, underground and everything in between. In 2013 he released his first book: ‘Dutch Dance’, about 25 years of the infamous scene in his country. This first overview story of dance music/culture in The Netherlands was rewarded with the Pop Media Price, the most important award for music journalism in Holland. Other book projects were ‘Extrema – 20 Years of Love’, ‘Thunderdome’ and ‘Awakenings – 20 Years of Techno’. Since 2014, Mark is also a lecturer on Dance Industry at Academy for Creative Industries in his hometown Tilburg. He runs the Dutch Dance Industry Lab, in which all dance related activities of this high quality, internationally focused academy are collected. Main task is the coordination of the minor Dance Industry, the first in its kind in The Netherlands (and probably abroad).